This was Bordeston in 1377, so the name has no direct connection with any other Boston and is probably related to a Saxon farmer named Bord. 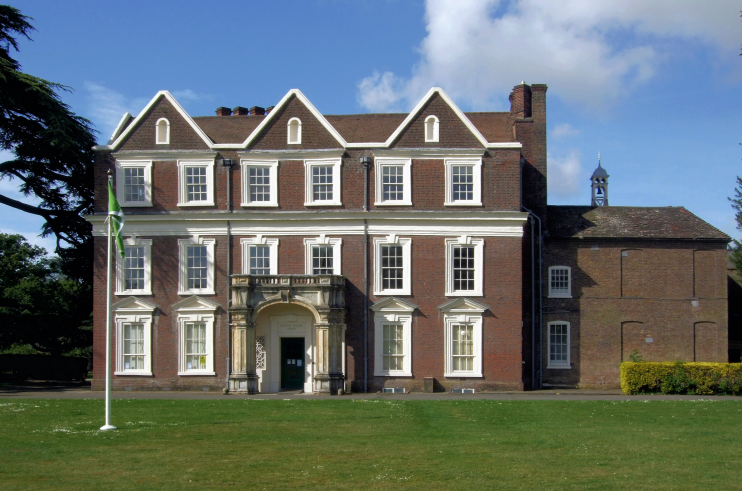 Boston Manor was built in 1623 for Lady Mary Reade in prepar­ation for her marriage to Sir Edward Spencer of Althorp. Merchant banker James Clitherow bought the house in 1670 and immedi­ately set about enlarging it and adding some limited ornament­ation. Another James Clitherow and his wife Jane enter­tained William IV and Queen Adelaide to dinner here in 1834. From the mid-19th century houses began to line Boston Road as Hanwell stretched out its tentacles following the arrival of the Great Western Railway. The Midland District Railway skirted the northern edge of the mansion’s grounds in 1880 and Boston Road station was built, opening up the southern part of Hanwell to suburban devel­opment. The station was renamed Boston Manor in 1911. The Clitherow family remained at Boston Manor until 1923, when most of the grounds were sold for house­building and the council bought the house. Although its exterior is plain (but elegant) some of the rooms and furnishings are splendid, especially the elaborate state drawing room on the first floor. The walls are hung with paintings from Hounslow’s borough art collection. The house is presently closed for refur­bishment funded by the National Lottery and it is expected to reopen in in 2021. * The picture of Boston Manor House at the top of this page is adapted from an original photograph at Flickr, copyright Jim Linwood, made available under the Attribution 2.0 Generic licence. 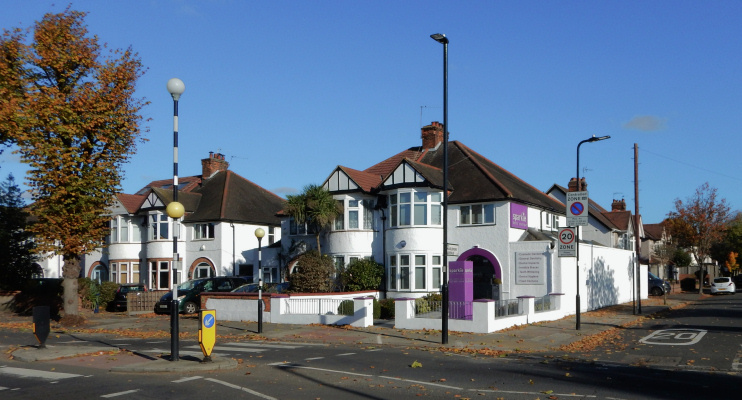 The picture of Boston Road at the junction with Haslemere Avenue is adapted from an original photograph, copyright James Emmans, at Geograph Britain and Ireland, made available under the Attribution-ShareAlike 2.0 Generic Licence. Any subsequent reuse is hereby freely permitted under the terms of those licences.